Actually, the time was ripe for a new Symphony X album. But last year, the progmetallers from New Jersey took time out. Almost all band members then jumped into other projects. In summer, Russell Allen's band Adrenaline Mob had a terrible touring bus accident in which two people died and Allen has not yet fully recovered from its consequences. For guitarist Michael Romeo there was inevitably a window of opportunity to try something new with "War Of The Worlds". eclipsed: Michael, could"War Of The Worlds" also display the Symphony X logo? Yes and no. Of course I can't deny my style, but due to the electronic elements and the strong focus on orchestral passages the album has a very own character. 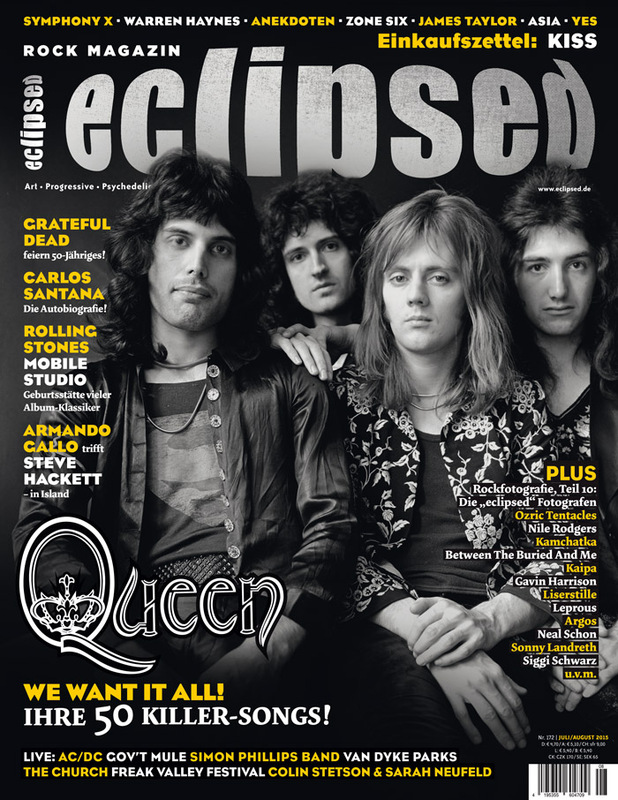 eclipsed: Were there differences in songwriting? Queen emphasized throughout their career that they are essentially a hard rock band. In fact, the English kept increasing the hardness of their songs as much as they liked. And yet there is hardly a formation of its caliber that has tried its hand in so many different genres. This stylish heterogeneity is also reflected in our ranking of the 50 greatest songs of the pomp quartet.